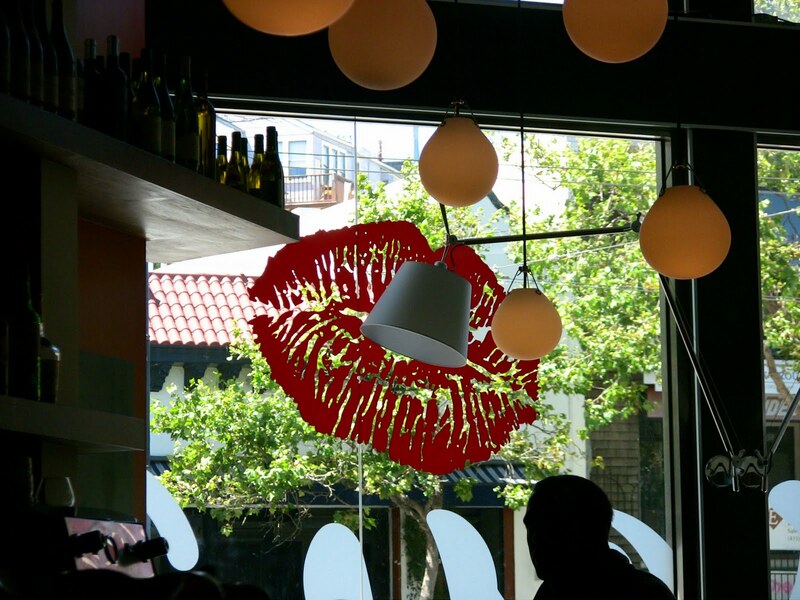 If there’s one thing that’s consistent about the Castro, it’s that the neighborhood is in constant flux. Every time you turn around, it seems, one restaurant is closing and another one is popping up to take its place. 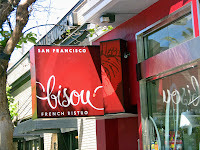 One recent example is Bisou French Bistro on Market Street, which replaced Panam in April. 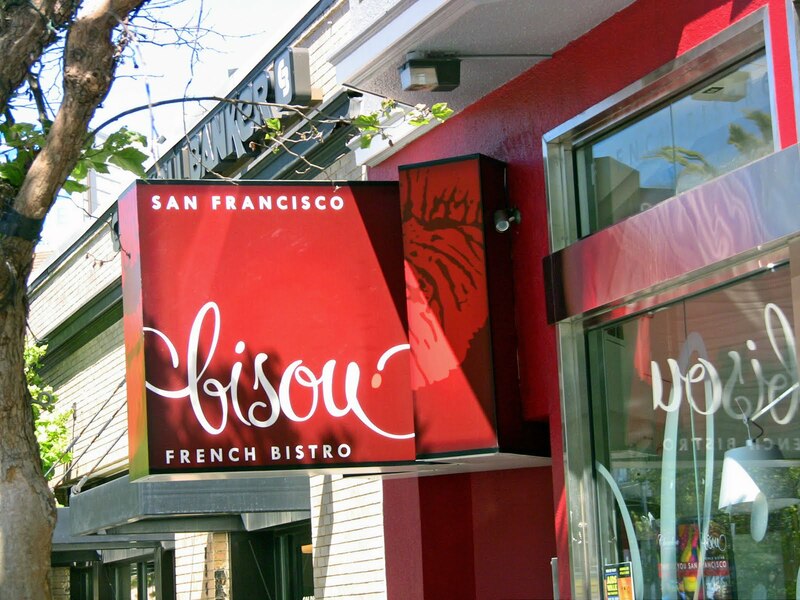 Panam’s previous owner, Mickael Azoulay, stayed on as a partner at Bisou, so the new restaurant was able to retain the old liquor license. 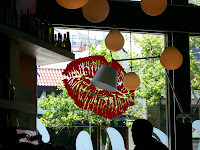 Bisou is a little kiss of a restaurant that serves bistro-style fare for lunch like Croque monsieur, Croque madame and some other sandwiches; personal pizzas; a fancy burger; some salads; mussels; and onion soup. Dinners, including a $26 prix fixe, are more elaborate. The beer selection at Bisou appears to be a work in progress. There are no taps, so selection is in bottles only. Certainly fresh local beer is best served and consumed as soon as possible from a tap. But imported beers, especially from Belgium and Germany, are fine from bottles if they’re properly cared for – and in the case of yeasty Belgian ales in particular, sometimes better. Although the selection of beers at Bisou isn’t extensive, it’s adequate for a nice bistro lunch. Options include a Blanche de Bruxelles witbier and a Saison Dupont farmhouse ale, both from Belgium, and a Paulener pilsner from Germany. White beers like Belgian wits and German wheat beers, as well as saisons and pilsners, are amazingly food friendly. They accentuate the flavors of the food and bring out some of the more subtle nuances without overwhelming the food with bitter hops. A Belgian wit like Blanche de Bruxelles, subtly spiced with orange peel and coriander, can coax unexpected flavors even from a simple burger: the fruitiness of the apple-smoked bacon, the earthiness of the Morbier cheese, the juiciness of the good quality meat, the silky smooth Choron sauce. 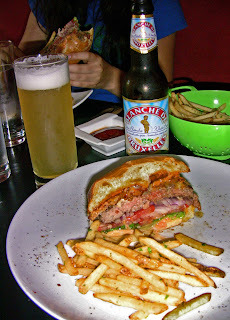 The skinny, crispy fries that accompanied the nicely cooked burger were also delightful with the Belgian wit, as the beer cuts the salt and brings out the sweetness of the potatoes. The beer list also includes a Hopf Helle Weisse German hefeweizen, a Reutberger Export dunkel lager and a Scaldis Belgian ale – good choices all. Also on the list were a Dixie Jazz beer and a Wells Banana Bread Beer from England. 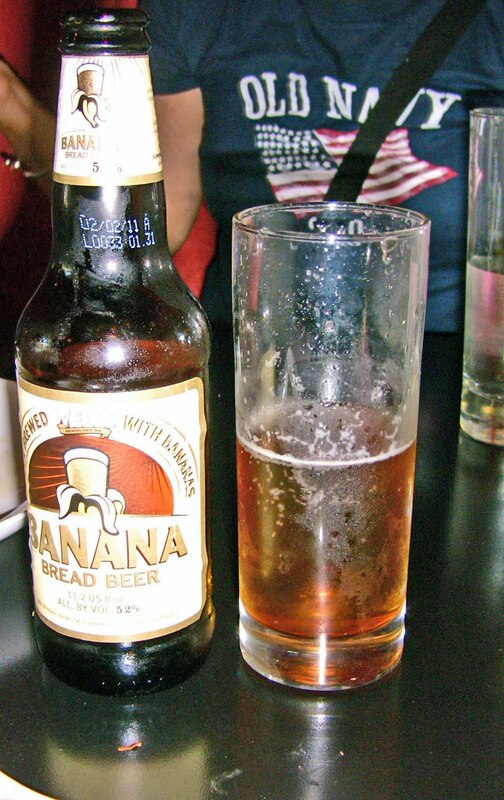 The banana beer sounded intriguing, and although it smelled like banana, the dominant flavor was that of an average hoppy ale, with a hint of banana. I’d suggest sticking with the European imports. Pairing food and beer doesn’t have to be hard work or overly complicated. Great wheat beers from Belgium and Germany bring out the best of a burger, burrito, pizza or sandwich. Bisou shows that even simple food can be elevated when combined with the right beer.